Dead trees and limbs near your home or business and on your property can cause serious harm. Please don’t hesitate to call for a complimentary assessment of the trees on your property to identify any potential hazards. 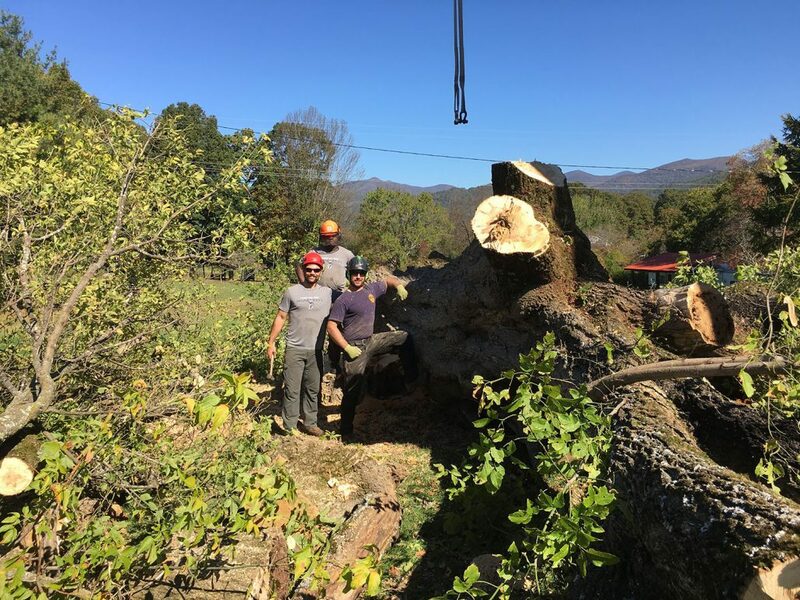 Whether it be a tree leaning toward your home, a limb overhanging the roof or parking area, or a damaged/diseased tree, we can help. 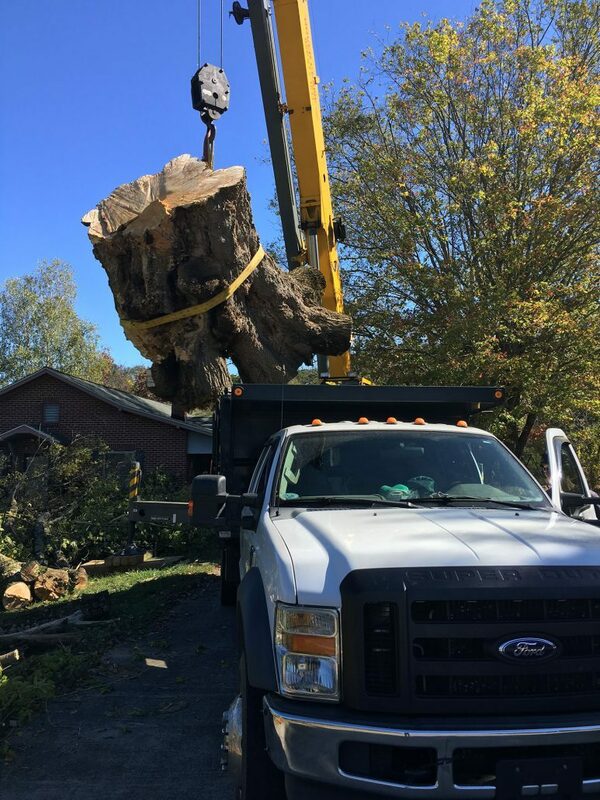 If a tree or limb does indeed need to go we will remove it carefully and quickly without causing harm to your other healthy trees or your property. 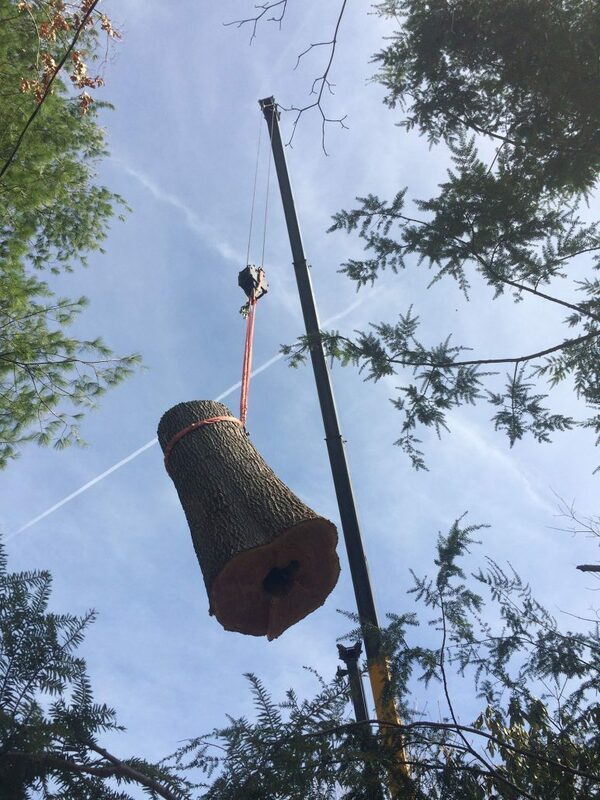 The majority of the time we are able to remove trees and limbs through complex rigging practices and expert climbing techniques. 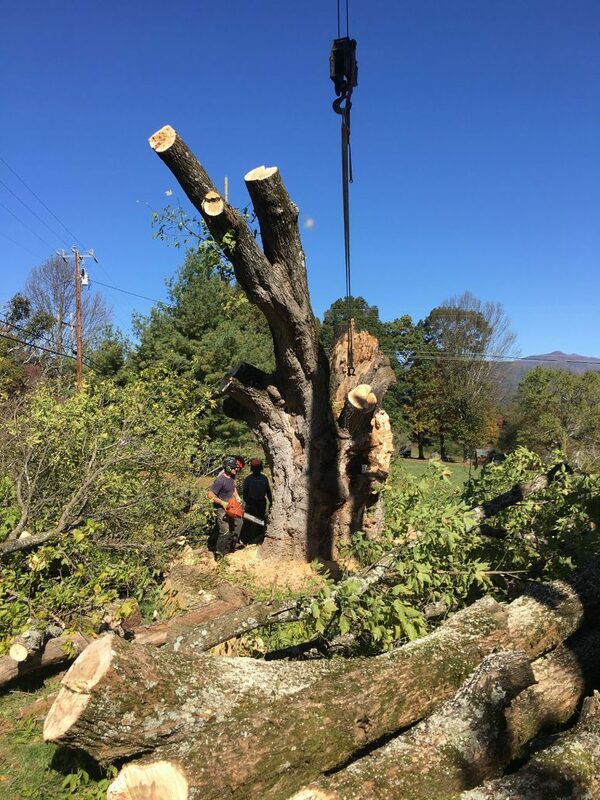 However, we do provide crane service and employ the use of aerial lift machinery for those trees or limbs that are especially large, hazardous, and in hard to access locations.